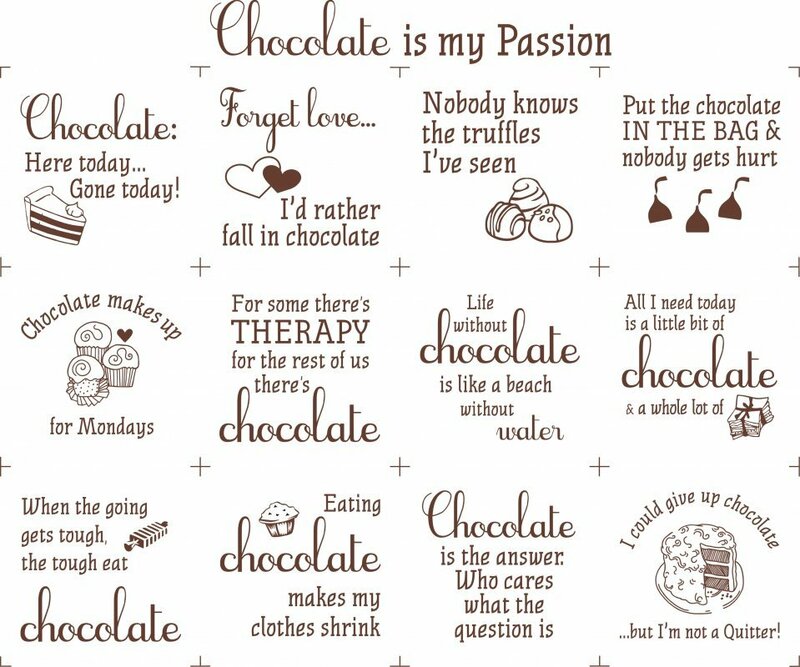 The chocoholics in your life will love this cute Chocolate is my Passion Panel. Each block and saying measures 5". Brown printed on natural/cream 100% Kona Cotton.